Dr. Steven M. Meixler is board certified in internal medicine, pulmonary diseases and critical care medicine. He was awarded his medical degree from Boston University School of Medicine and went on to complete his internship and residency training at the Manhattan VA/New York University Medical Center, where he served as chief medical resident. He completed a fellowship in pulmonary and critical care medicine at New York University Medical Center / Bellevue Hospital Center. Prior to becoming medical director of Westmed Medical Group, he served as associate medical director for medical specialties. Currently, he also serves as vice president of the practice. He is affiliated with White Plains Hospital, where he served as chief of the division of pulmonary and critical care medicine and as director of the Internal Medicine Department. 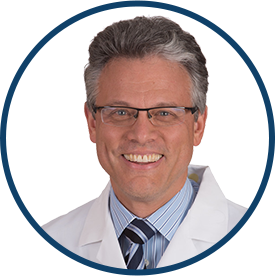 Dr. Meixler is a Fellow of the American College of Chest Physicians, and is a member of the American College of Physicians and the American Thoracic Society. In addition, he has been named by his peers to the 2018 Super Doctors® list. Excellent. Love *Dr. Meixler. He is the best.